Baking on the oven-top is environmentally friendly and convenient. 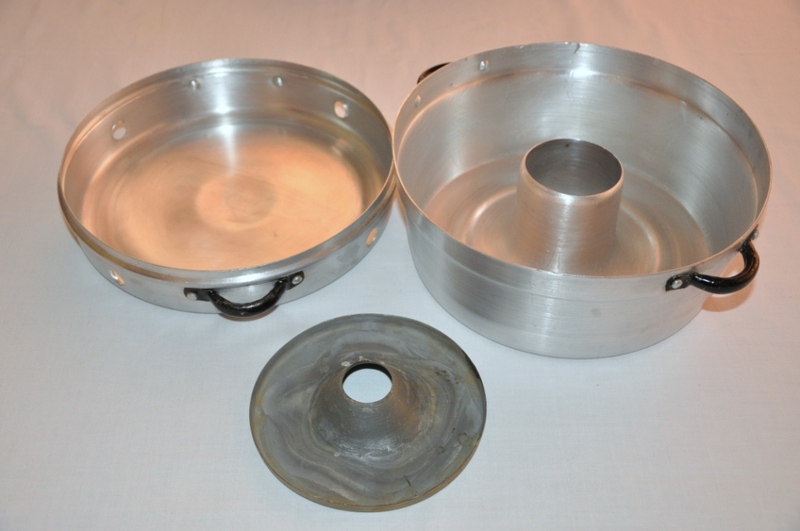 I like to bake my everyday cakes on the oven-top using a special pan that consists of 3 pieces. It is very convenient when you don't want to turn on the oven to bake a cake, especially in the summer months when the kitchen is already hot! Baking the cake on the oven top uses only one flame, thus your gas consumption is much lower and your kitchen doesn’t heat over! 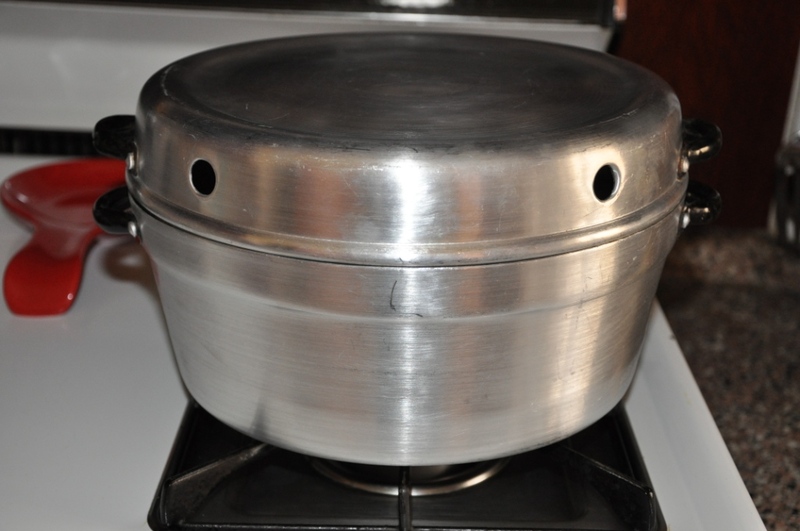 You will notice that the top piece (pan cover), has holes all around it. This is to let heat escape. 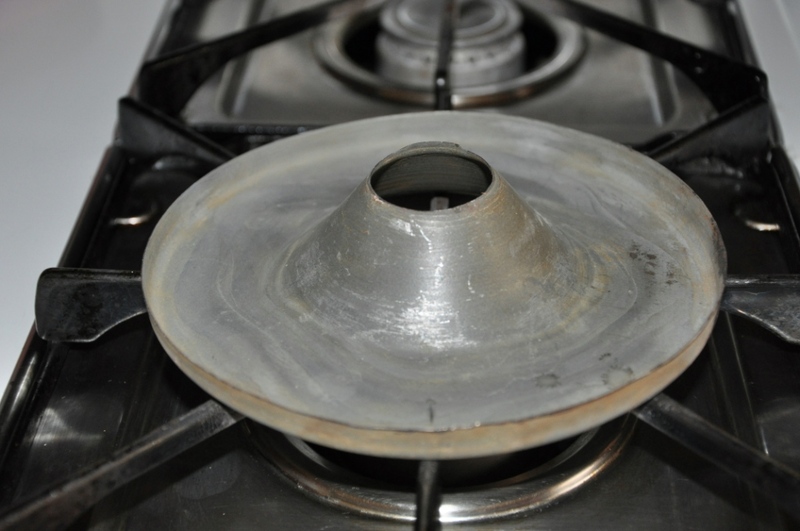 The steel ring is place in the middle of the stove (oven top). You have to center the steel ring over the flame, after that you turn on the fire to medium low. Do this 2 minutes before you put the cake to bake. 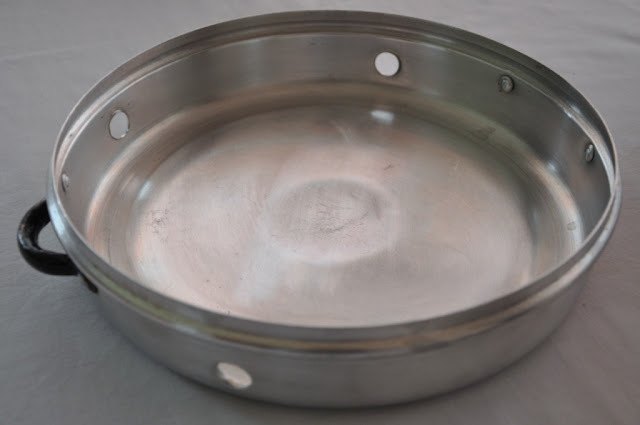 After you pour the cake batter in the pan, center the pan on top of the steel ring. Cover the pan with the poked-pan-cover. Make sure that the flame is medium-low tilting more towards low. 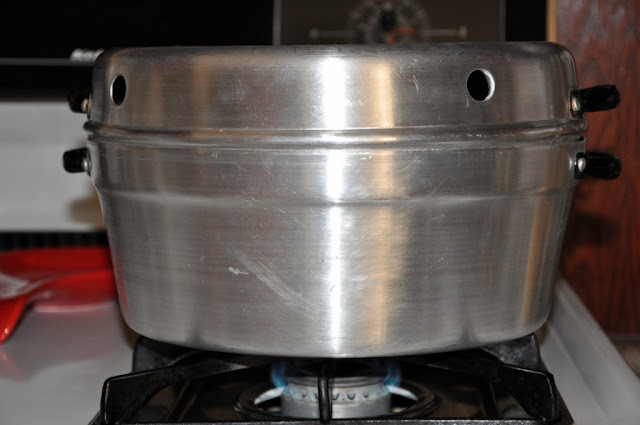 The steel ring funnels heat through the middle of the pan and the excess heat escapes through the pokes on the cover. If you are using the special pan for baking cakes on the oven-top, your cake will need more time to bake than in the oven – the exact time depends on the flame. Once the cake aroma fills the house you can gently rise the side of the cover and poke a toothpick to check if it is done. Is this pan available where you live? Have you ever tried baking on the oven top? Hope you enjoyed today’s baking tip: Baking on the oven-top. Bon appetite.